As a minimally invasive alternative to a facelift and other surgical anti-aging procedures, BOTOX® Cosmetic can allow Reno and Lake Tahoe patients achieve a younger-looking aesthetic without the need for surgery or excessive downtime. This in-office treatment is a timely procedure designed to smooth deep, persistent facial lines with small injections that relax wrinkle-causing muscles without affecting adjacent healthy tissue. Plastic surgeon Tiffany McCormack, MD works with each individual to specifically target problem areas without freezing the entire face. Rather than employ a “cookie cutter approach,” Dr. McCormack’s philosophy is technique-sensitive. Her patients are often amazed by how such a dramatic improvement can result from a minimally invasive procedure. Derived from a purified protein called botulinum toxin, BOTOX® Cosmetic is an FDA-approved injectable gel designed to diminish signs of aging, such as pronounced creases and wrinkles caused by repeated facial expressions. BOTOX® Cosmetic works to temporarily prevent movement of the facial muscles that commonly cause dynamic wrinkling, thereby smoothing the appearance of deep lines. Since its FDA-approval, BOTOX® Cosmetic has become one of the most widely used facial rejuvenation treatments available. Dr. McCormack will examine your aesthetic concerns to help you decide whether BOTOX® Cosmetic is the most ideal injectable to achieve your treatment goals. In the event that BOTOX® Cosmetic cannot adequately treat your concerns, other non-surgical options may be of greater benefit. We offer an array of treatments to address and diminish prominent signs of age, such as nasolabial folds and “smoker’s lines.” During a consultation, Dr. McCormack can suggest a range of non-surgical solutions from our state-of-art Medi Spa to attain your desired aesthetic. Many patients compare BOTOX® Cosmetic treatment to Dysport® injections, which is also a neuromodulator composed of a form of botulinum toxin. While both are non-surgical procedures that target similar aesthetic concerns, there are a few notable differences between both treatments. In general, the formulaic composition of each solution differs. The Dysport® formula is diluted differently than BOTOX® Cosmetic, and it may take more units of gel to treat the same facial area when compared to BOTOX® Cosmetic. Furthermore, while both treatments are typically effective addressing lines between the eyebrows and around the eyes, BOTOX® Cosmetic can be a better option than Dysport® when targeting wrinkles and creases of the lower face. BOTOX® Cosmetic contains properties that are designed to relax overactive facial muscles. Because many lines and wrinkles develop due to repetitive muscle contraction caused by the formation of facial expressions, the agents in BOTOX® Cosmetic which inhibit muscle movement can effectively smooth the look of creases for a more youthful and rejuvenated appearance. BOTOX® Cosmetic treatment is conveniently administered at Dr. McCormack’s Reno-area practice. After thoroughly discussing your needs in a consultation, Dr. McCormack will use an ultra-fine needle to deliver meticulous injections of BOTOX® Cosmetic into the targeted regions. While many patients report little to no discomfort during treatment, a local anesthetic can be applied to numb the area prior to injections, if desired. After all injections have been delivered, there is virtually no recovery time necessary and you may return to normal daily activities immediately. Depending on your treatment plan, the entire process can take as little as thirty minutes. Following BOTOX® Cosmetic injections, results usually appear within days and can last for up to four months. Depending on your aesthetic goals, touch-up treatments can be pursued as necessary to preserve the results. Dr. McCormack can also use BOTOX® Cosmetic in conjunction with facial surgery to further optimize your enhancement. Additionally, we frequently run BOTOX® Cosmetic specials and discounts for returning patients as a “thank you” for choosing us as your plastic surgery providers. After treatment, some patients may experience minor bruising or swelling at the injection site. However, these reactions should resolve on their own and there is usually no recovery time necessary following injections. The most important thing to remember when making a decision about treatment is selecting a board-certified plastic surgeon or certified nurse injector to administer BOTOX® Cosmetic. This can lower the risk of potential side effects and help ensure your treatment is performed with the highest standards of safety and care. The average cost of BOTOX® Cosmetic typically falls between $300 and $600 for each treated area, although prices vary across geographic locations. 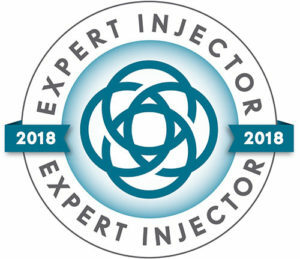 Factors that can affect the cost of BOTOX® Cosmetic include the number of regions planned for injection and the amount of BOTOX® Cosmetic necessary to achieve your cosmetic goals, making the total price of treatment unique to each patient. Once you visit the M Spa for a consultation, we will be able to assess your needs and provide you with a personalized quote. In addition to accepting major payment methods, we also offer the option to finance your treatment through trusted healthcare lending companies like CareCredit®, Alphaeon™ Credit, or Prosper® Healthcare Lending. These reputable financial institutions allow qualified applicants to choose from a variety of low- to no-interest payment plans to find the arrangement that fits their budget most ideally. Patients who receive BOTOX® Cosmetic can also earn points for each treatment session they undergo as part of the Brilliant Distinctions® rewards program, a membership that allows individuals to accrue savings on future treatments and medical-grade skincare products. The program is free to join, and you can earn substantial discounts on BOTOX® Cosmetic as well as treatments like JUVÉDERM™, JUVÉDERM VOLUMA™ XC, SkinMedica® products, and much more. For more information about the cost of BOTOX® Cosmetic, please don’t hesitate to contact our practice to speak to a member of our team. What are Alternative Treatments to BOTOX® Cosmetic? If BOTOX® Cosmetic is not the most ideal treatment for your concerns, the M Spa offers many different services to reduce facial aging and give patients a more vibrant, youthful appearance. Our selection of dermal fillers, which includes popular treatments like JUVÉDERM and Sculptra® Aesthetic, can minimize key signs of age by enhancing volume in areas of the face that may be lacking fullness or a noticeable contour. Unlike BOTOX® Cosmetic, these injectables are designed for subtle additions of volume in the lips, cheeks, temples, tear troughs, or hands. They can also be utilized to smooth nasolabial folds, marionette lines, and other deep creases. For patients interested in wrinkle reduction as well as a healthier complexion, Infini™ microneedling can be a minimally invasive treatment to achieve a powerful improvement in the tone and texture of your skin. Using the body’s natural healing processes to regenerate healthy skin cells, Infini™ microneedling can treat wrinkles, acne scars, hyperpigmentation, and years of sun damage for a more radiant appearance. Dr. McCormack or our licensed aesthetic nurses will listen to your concerns and advise you on which treatment options can fulfill your aesthetic desires most comprehensively. To learn more about BOTOX® Cosmetic, or to schedule a consultation with Dr. McCormack, please contact our practice today.